The extravagant party had been planned for a long time. A special day. A special time. Specific delicious and unique recipes were made. A variety of drinks cooled in the ice chests. The tables were set. Cups, plates and utensils were carefully and artfully placed. Color coordinated and elaborate decorations streamed throughout the room. The lighting was perfectly festive and vibrant. The music was a personalized playlist. The amount of time and preparation necessary to pull this event off was not even a consideration. Everything had to be done just right. The invitations had gone out. Sadly, so many were busy with business and their kids had soccer tournaments. So they paid no attention and actually refused to come. The host got mad and realized that they did not deserve to come. 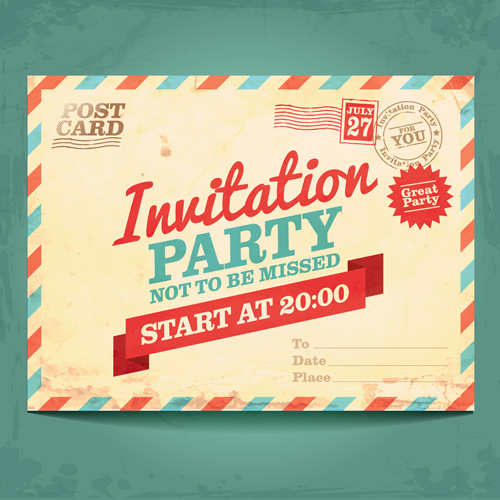 So, the host decided to send out another email blast to people that he didn’t invite originally to the party. People that were not expecting to be invited. He emailed groups of pretty much anyone he could find. Nice and not so nice people. They actually came. The party was full. Forgive us, God, that We the Church have planned parties all the time and seldom invite those that don’t deserve it. Or invite those who are not on our lists. Forgive us, God, that We the Church are too busy with our business and kids to accept your invitations for daily communication with You through Your Word and Prayer. Time and preparation that is necessary to pull off this event called life. Forgive us, God, that We the Church look coordinated and elaborate in our buildings yet inside our hearts we tend to be in chaos and disarray. So We pay no attention and actually refuse to come to Your throne of Grace. Daily. Moment by moment. Maybe we forgot that Your Holy Spirit pays attention to us 24/7, and with Him, every day is extravagant, special and planned by Him not from time, but eternity. Maybe we forgot that Your Holy Spirit has a personalized playlist of His Love that He streams through our lives to others. And His light makes us look vibrantly perfect. Maybe we forgot that Your Holy Spirit makes Us unique. And He specifically sets us up to be carefully and artfully placed in our community for His glory. You get to be chosen by Him to make a difference for Him. He has elected You to participate in His kingdom. You just need to accept the invitation. Not just to attend one party. But an eternal party. For Him. And with Him. Christians in this nation to be willing to invite others to know Jesus. Whether they think they deserve Jesus or not. The Holy Spirit fires of revival to descend on this nation and for the people to cry out for a deliverer that is filled with the Holy Spirit. The presidential candidates that are true born again Christians to recognize the impact that they have on our culture, and to use the filters of holiness as their guide. Craig and I as we are scheduling Election Forums for April-Oct throughout Southern California. Pray for open doors/platforms for us to teach on “Voting Your Values” and mobilize Christians to Get Out the Vote.